Mooiplaas Wine Estate and Private Nature Reserve boasts a pristine natural beauty. Owned by the Roos Family, the Mooiplaas vineyards lie on steep slopes of ancient mineral rich soils in the cool, sunny Bottelary Hills of Stellenbosch. They produce a range of Environmentally Friendly Wines rooted in tradition and artisan techniques to reflect their unique terroir. Just 25 miles east of Cape Town, Stellenbosch is perhaps the most famous wine-producing region in South Africa. The town, in Western Cape's Coastal Region, is steeped in history and is home to the country’s best-known wine estates. Cabernet Sauvignon is the region’s most prized grape variety, often found with Merlot as part of a Bordeaux Blend. The terrain allows for a lot of variation in wine styles, and microclimates suitable for the cultivation of all sorts of grape varieties can be found among the exposed hills and sheltered valleys. The region’s climate is relatively hot and dry, although a maritime influence comes from False Bay in the south. Cabernet Sauvignon can be found on wine lists the world over, while Sauvignon Blanc Chenin Blanc and Shiraz are all planted. 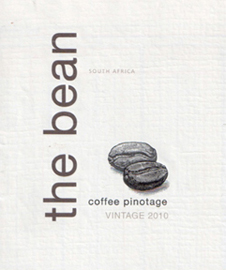 Stellenbosch is also notable for being the birthplace of Pinotage.